The models 111.16 and 111.26 have been specifically designed for panel mounting and therefore feature a back mount process connection. For easy installation, the plastic cases of the panel mounting series are already equipped with a mounting flange. 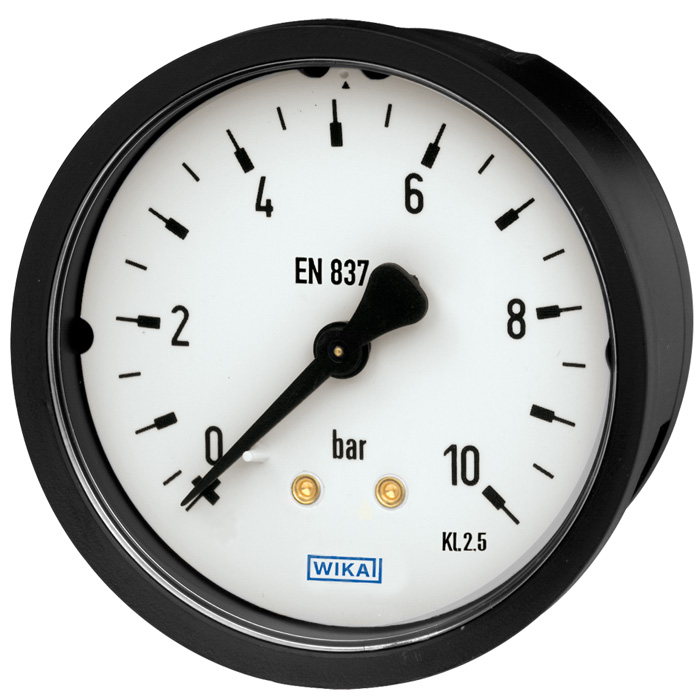 The model 111.16 Bourdon tube pressure gauge can be fitted to the panel by means of a mounting bracket (accessory). The model 111.26 is mounted to the panel by "snap-in mounting" using lateral locating lugs at the case. In addition, metallised front bezels can be supplied for the model 111.26. The panel mounting series of model 111 is also available in customer-specific versions, e.g. with individual dial layout.